4 out of 5 dentists recommend this site!! 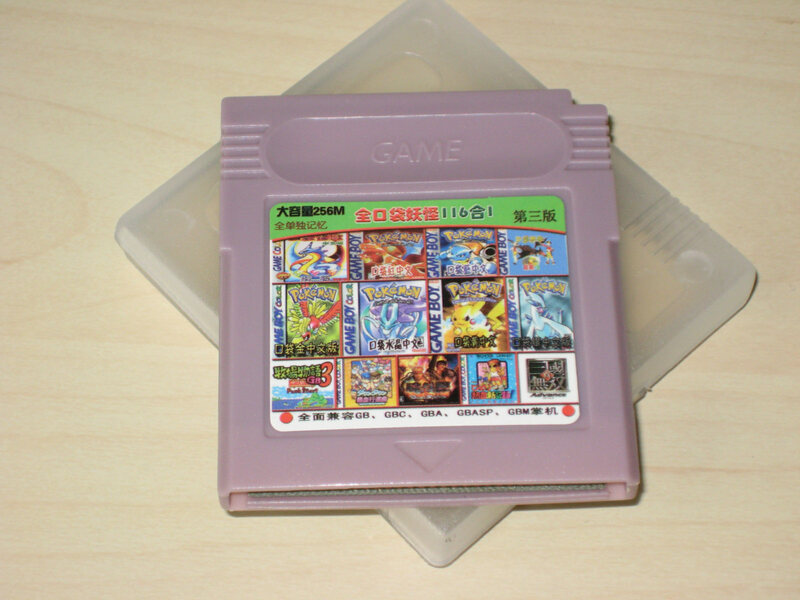 I’ve found a seller on Aliexpress that has bootleg GB/GBC carts so I ordered few. Yes, they’re not original, but it’s more practical to carry one cart with ~100 games than 10 original carts with one game :). And since I already have them I though why not make a list of games so other people can see what’s on them. I would have posted this few days earlier, but it turns out WordPress doesn’t have tables in it’s aresenal :P. Solution was to switch to HTML mode and paste the code manually, but I was lazy to type all that. So in the end I made small Java application in which you can create the table, or import csv file that tools like excel can save, and export it as HTML code. That took me about two days on and off. Yup, it’s better to spend two days coding an app than to spend 1-2 hours in notepad typing HTML code for this table :P. If someone else think he could use tool like this let me know in comments and I’ll post the link for download. Anyways, here’s the game list. I have one more cart to cover, and one more on the way from China. P.S. I’m not an expert in different Asian alphabets, aka I have no clue, so information in language is my estimation. I hope nobody gets offended if I guessed wrong on some game. Posted on May 4, 2016, in Retro computing and tagged Bootleg cart, GameBoy, GameBoy Color. Bookmark the permalink. 7 Comments. 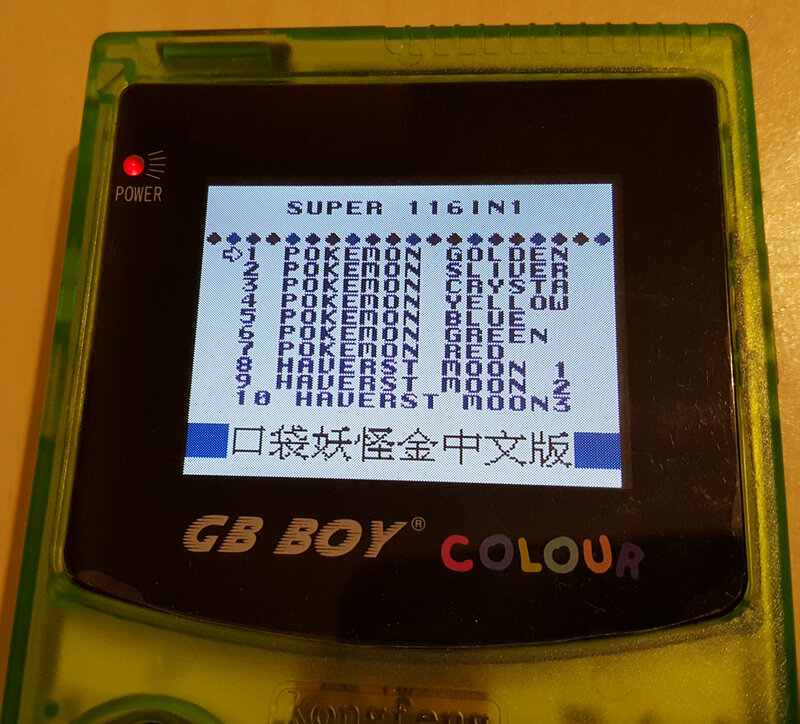 thank you Solo761, very interesting article, could you please indicate if the menu (“games list”) of the games when you insert the cartridge is in chinese or English like you posted ? Also, if you could post the seller of this cartridge. The “Name on cart” column is how each game is named on the cart. If that’s what you mean. Names are in latin/english. Did you confirm the war game as a metal slug bootleg? Ive been looking for metal slug gbc bootleg for forever. Can you link me to the seller? I didn’t spend much time trying. It really looks like some kind of hack or alpha version, as I mentioned, when you shoot horizontally there’s a shooting sound, when you shoot up or down there’s no sound. Also when you fire you have to let the bullet fly to the target. If you fire another shot before the first one hit it disappears. the “puzzle boy ll” is actually “A-mazing Tater” in original 🙂 .